This was a last minute idea. 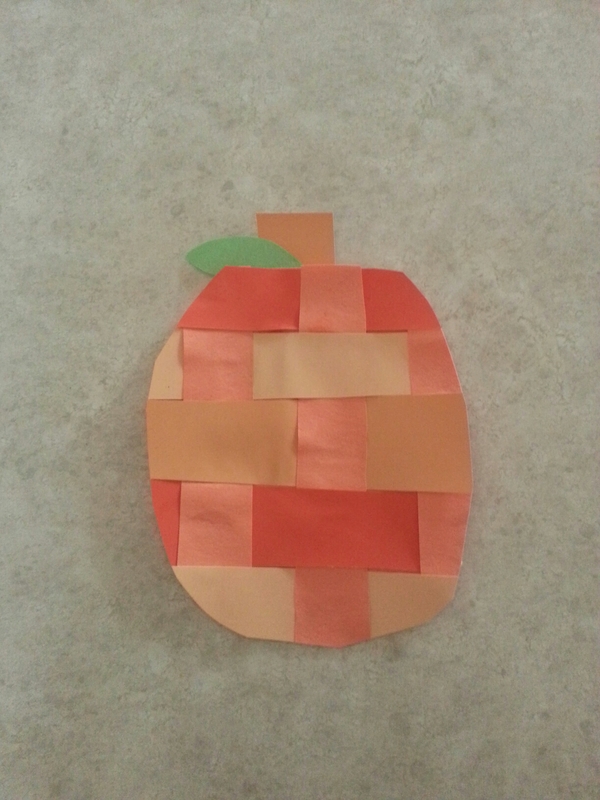 My son thought for sure we were weaving when we cut out the one inch strips for the last pumpkin craft. So, why not? We weaved togethers a square gluing where needed. Then we cut it into a circle together.